Weinberger Fine Art is located in the heart of Kansas City’s Crossroads Art District. 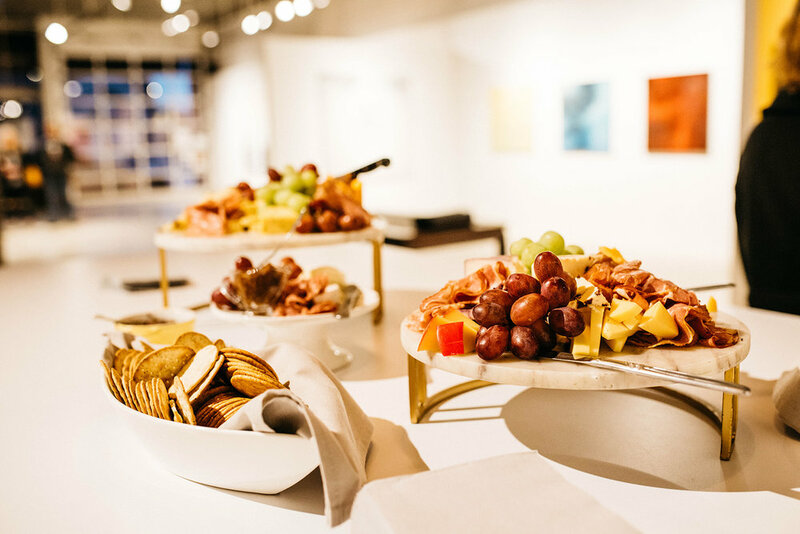 With a modern industrial feel, this unique and creative environment is the perfect place for your next party, fundraiser, or corporate event. Weinberger Fine Art is not available for rent during the First Friday of each month. Renters must sign a rental agreement, provide a certificate of liability insurance (we recommend: privateeventinsurance.com), and a 50% deposit check in order to reserve a date. WFA does not provide event security or reserved parking. Renters may elect to utilize valet or security services at their own expense. Set-up and clean-up time is added to your hourly total. The venue must be returned to its original condition following your event. In-house event coordination services available for an additional fee. Contact us for more info on availability and event coordination services or to schedule a tour.